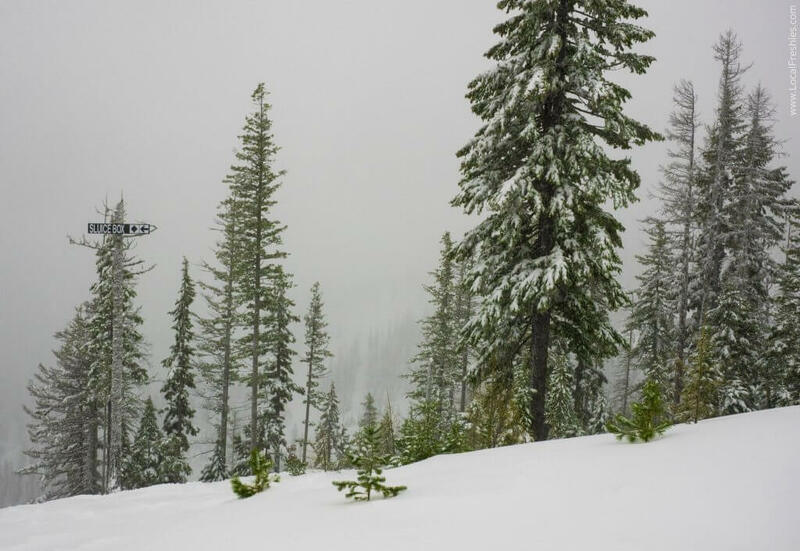 Silver Mountain’s latest boom – SNOW! Silver Mountain, the next Ski Destination Boom! When Silver Mountain first started, it was named Jackass Ski Bowl as a nod to the person who discovered silver in the area. Local legend states that a donkey got away from its owner and stood on a massive rock with a silvery glint. Once the owner caught up to the donkey, he found the precious metal... hence the name of the mountain. The ski area was originally run by the local mining company, Bunker Hill, to give miners some recreation. With silver prices plunging, the mine was forced to close. In its wake, the ski area was left with a white knuckle road up to the resort. Locals talk about how the pass is just wide enough for one car to comfortably go up OR down, essentially making it a one-way mountain road. Yikes! Fortunately, back in 1989 with the town of Kellogg now owning the resort, they decided to tax themselves $2 million to build a gondola. Today, the road is no longer open and instead everyone takes the gondola up to the resort, one of the longest in North America. Slowly ascending out of the valley and up into the mountains, expect the scenery to be spectacular. After a 20 minute jaunt on the gondola, you'll make it to the upper station, called the Summit Haus. This is the access point for all things food, lodge and of course, the terrain. Moguls' 21 is the bar/restaurant inside the Summit Haus, serving amazing burgers cooked to perfection. Feeling a bit more adventurous? Take a chance and order an egg on top! You can wash it down with a Loft Honey or a 6:60 Lager from the local brewery, Wallace Brewing. Silver Mountain , like other resorts in the region, has an open gate policy allowing you to shred out-of-bounds. The most obvious backcountry terrain is located under the gondola but be smart and learn the terrain. Based on the type of snow that falls in the region, there are gullies lurking in the out-of-bounds territory. Your best bet is to meet up with a Local. Seek out a little guidance on where to find amazing stashes all via lift-access with only a minor hike out! The gondola isn't just the primary access point to the resort for the cold months either. In the summer, it also provides some of the best mountain bike access in the country with nearly 3,400 vertical feet! The terrain surrounding the Mountain Haus on chairs 1, 2, 3, and 5 all serve beginner terrain. Just below the lodge Ross Run is a great option for any beginner, giving you an opportunity to take either Chair 5 or 3 up again. Silver Belt, from the triple Chair 2, is a wide trail perfect for a warm-up run. At the Junction, you can turn down Saddle Back for a bumpier ride or take a hard left on the Cross Over Run to the Midway Load Station on Chair 4. This will give you access to several intermediate options, ending back at the midway station. If you're an expert, a short 20 minute hike in-bounds over to Wardner Peak grants you access to the best steep terrain Silver Mountain has to offer. We HIGHLY suggest giving it a go. From here, there are some challenging runs heading back down to the Shaft. Local Freshies® Tip: If visibility is low and the wind blowing ferociously, head to Chair 2 as it's the most wind sheltered part of the mountain. Busy day means lifts stay open longer! The gondola is the only way up OR down the mountain, meaning by the end of the day you'll see a bit of a backup. Instead of shutting down the lifts and having everyone stand around, why not keep skiing? The resort keeps the lifts running a little longer for the best crowd control and customer service I’ve ever seen! Join in on the fun and continue to hit up the runs while others stand in line. Local Freshies® Tip: Be sure to come on a weekday or arrive early and leave late. If you have the option, visit on a weekday. There’s only one way up and one way down, so the gondola line can get a bit long. If you do come on a weekend, be sure to get there early, like 8:15-ish and either leave a little early or wait until the crowd dies down.